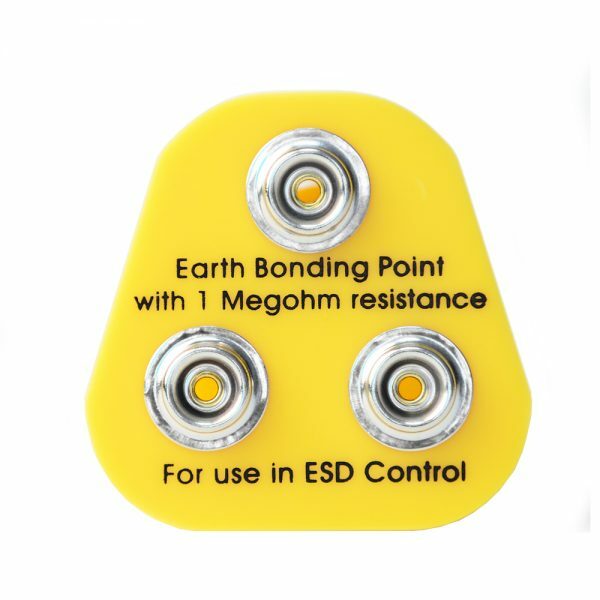 This ESD Earth Bonding Plug incorporates 3 x 10mm male studs for connection grounding wire. 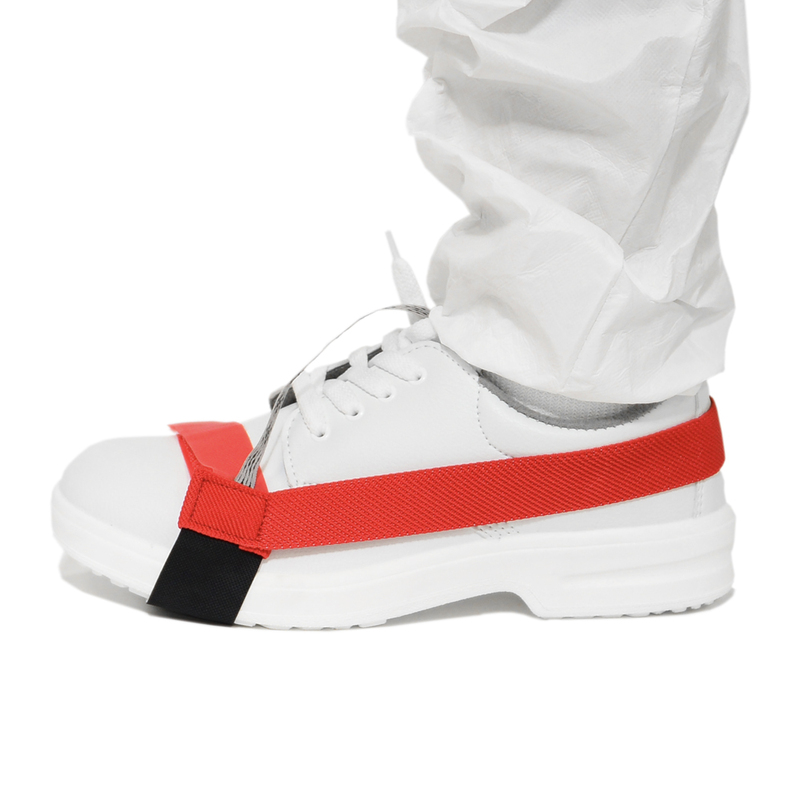 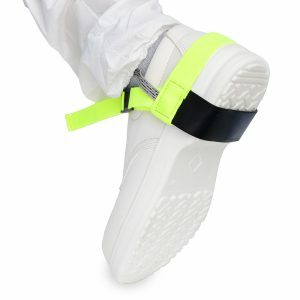 Designed to connect matting, wrist straps or equipment to a common grounding point to ensure any static charges are dissipated safely. 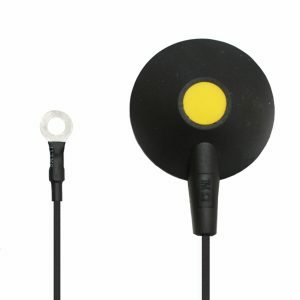 The distinct yellow colour also stands out to ensure that the plug is clearly visible and identified as the grounding point. 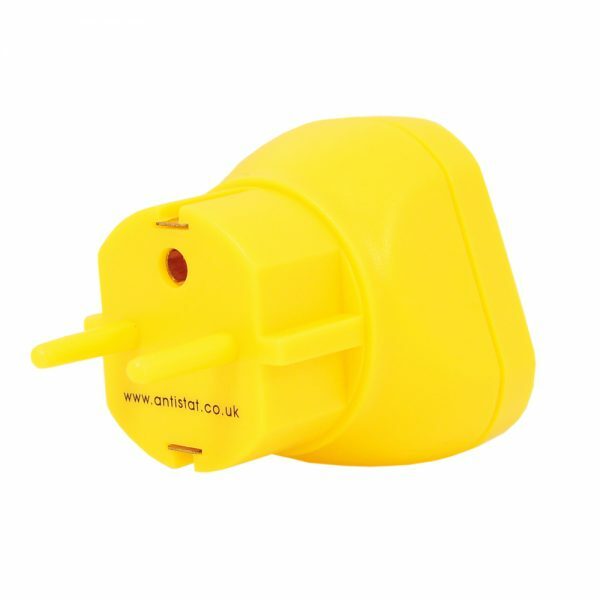 Two options available, designed to fit either UK or European mains plug outlets. 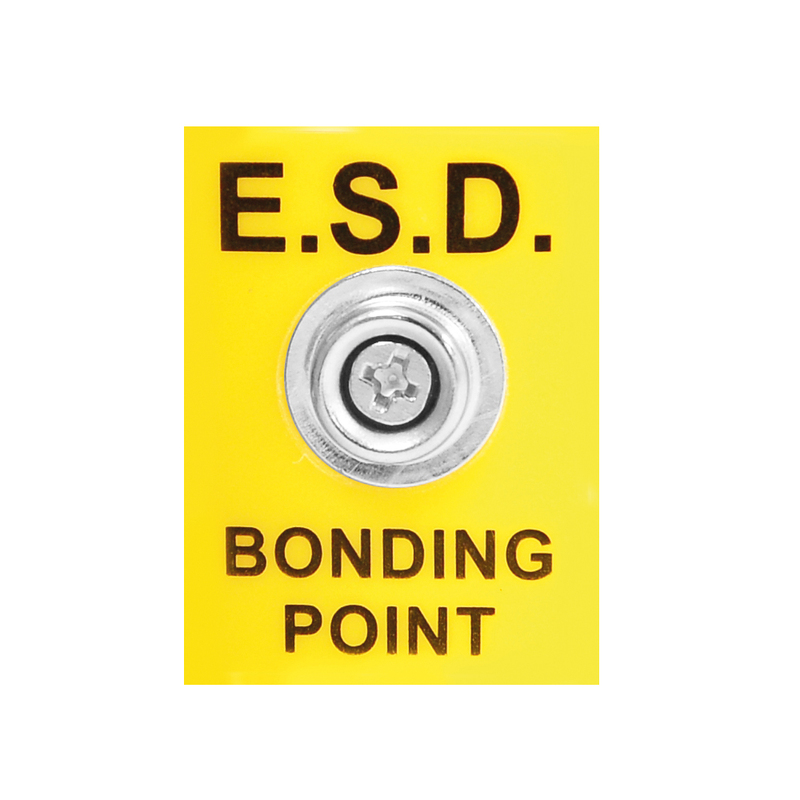 This ESD bonding plug incorporates 3 x 10mm male studs, designed to fit UK and European mains plug outlets. The neutral and mains voltage pins are plastic and the earth pin is metal. 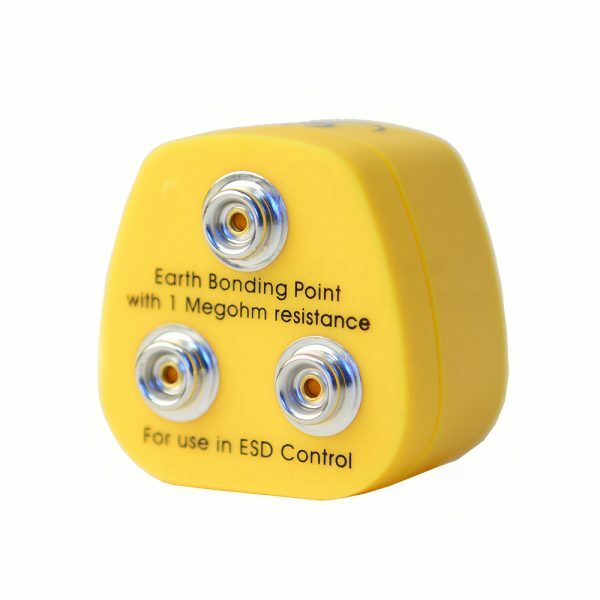 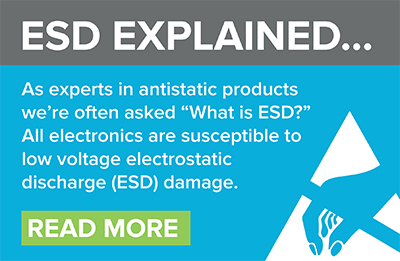 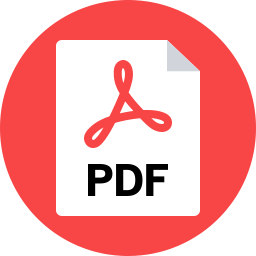 This single ESD Bonding Point provides a grounded fixture to which EPA equipment may be connected or ‘bonded’, usually via a grounding wire or cord. Supplied with a single 10mm male stud and clearly marked with black text stating “E.S.D. 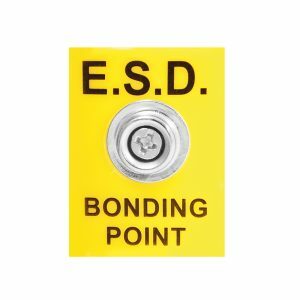 Bonding Point”. 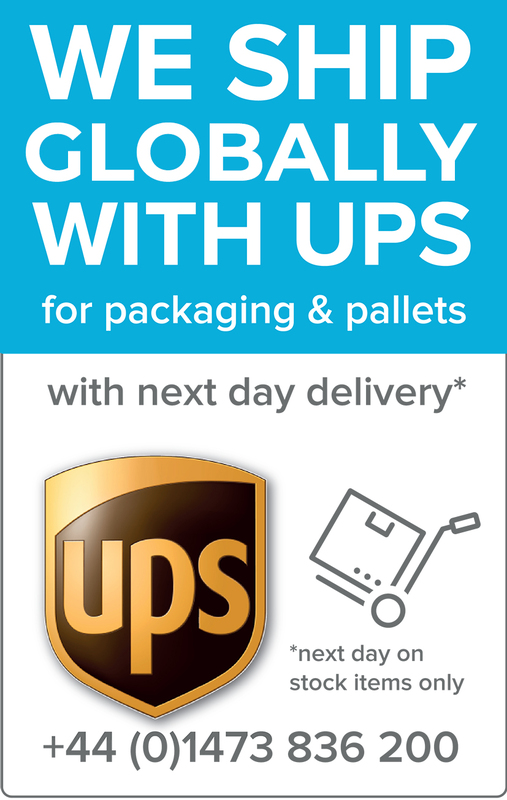 Made from impact resistant ABS for longevity. 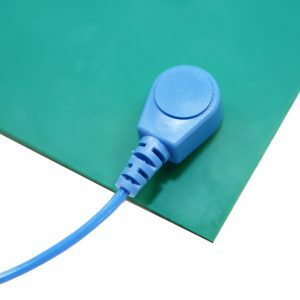 Suitable for use with all ESD and antistatic mats, this Straight Earth Lead with Conical Head ensures the the grounding stud remains protected, reducing the likelihood of disconnection. 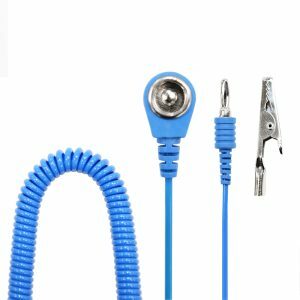 10ft long cord, covered with non-conductive PU, with a resistivity of 1M ohm +/1 10%. 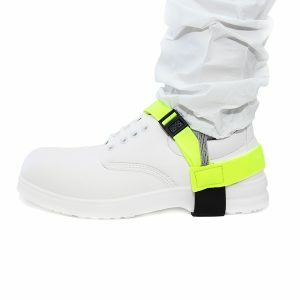 A durable, ESD fluorescent heel strap designed to be easily visible in an ESD working area. 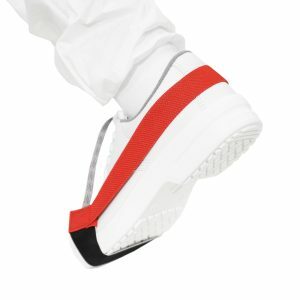 These heel grounders have a simple snap release for quick and easy use. 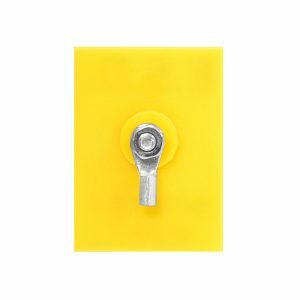 Robust enough for long term use and suitable for hand washing with mild detergents.